Get 5% GM money back on all your spending towards the purchase of a brand new GM vehicle. Much like the no fee Scotiabank GM Visa, the Scotiabank GM Visa Infinite card allows cardholders to earn rewards that they can use towards the purchase of their next GM vehicle. 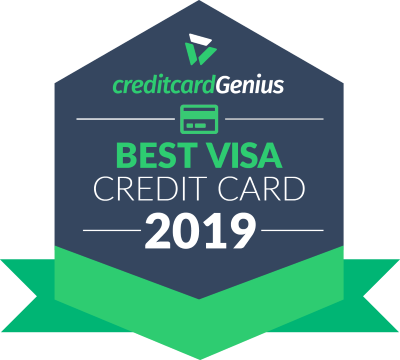 The impressive 5% back on rewards you get with the GM Visa carries over to the Visa Infinite and gets even better. The 5% reward rate stretches out to the first $10,000 in annual spending instead of $5,000 giving you the potential to double your rewards at the 5% rate. No other card in Canada offers a 5% return on spending on every single purchase you make, even considering the $10,000 cap. That means if you spend the full $10,000 every year, you'll get $500 in GM money, which adds up pretty fast. After $10,000 your rewards drop to 2%, which is still a good earn rate. Every $1 worth of GM earnings you accumulate equals $1 that can go towards the purchase or lease of your next GM vehicle. With this card, there is no cap or limit to the amount of rewards that you can earn and GM earnings never expire as long as you are a cardholder. So, save up for as long as you want! Who knows, maybe you'll save enough to pay for the vehicle in full. Unlike the no fee version, however, this card come with a few extra bells and whistles. Add to that 8 types of travel and purchase insurance and it shapes up to be a pretty great card. The downside, of course, is that your rewards can only be used for the purchase of one specific brand of vehicles - GM. The good news is that the Chevrolet, Buick, GM, and Cadillac brands are all included under the GM umbrella so you do have a decent selection of vehicles to choose from. It's also worth noting that the annual fee for this card is waived for the first year so it's easy to give the card a test drive.